Light organic cottage cheese with a zesty tang. 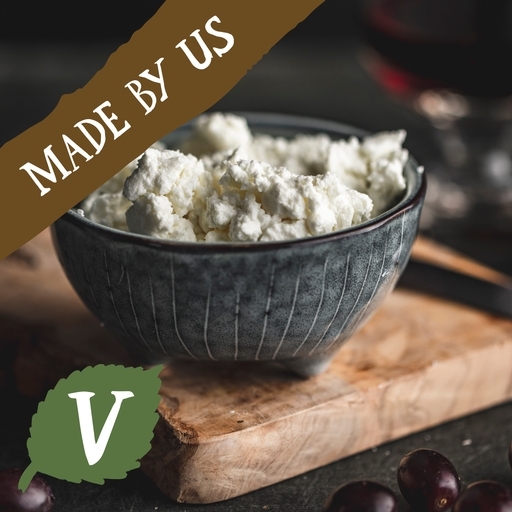 Deceptively creamy to taste, this cottage cheese is made with skimmed milk from the grass-fed Riverford herd, turned gently with a pinch of sea salt. It’s low in fat and a tasty source of protein – whether in smoothies, salads and sauces or spread on toast with a drizzle of honey. Keep in the fridge for up to 9 days, use within a few days of opening. Pasteurised skimmed milk, sea salt*.